George Russell Kight Sr., age 74, of Ambrose, Georgia passed away on Tuesday October 23, 2018 at Coffee Regional Medical Center. 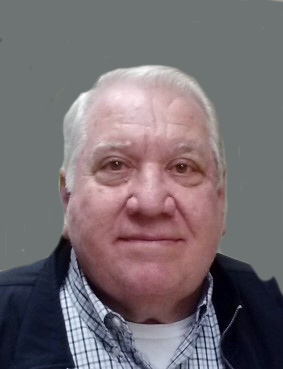 Mr. Kight was born on October 7, 1944 in Douglas, Georgia the son of the late George “Buck” Kight and Louise Ruis Kight. He worked as a farmer and was a member of Calvary Mission Holiness Baptist Church. In addition to his parents he was preceded in death by a son, George Russell “Rusty” Kight Jr., sister, Lanell Clark, brother-in-law, Butch Griffin and father and mother-in-law, Ira and Maxie Harper. Survivors include his wife, Judy Harper Kight of Ambrose, GA; daughter, Abby Kight (John Johnson) of Broxton, GA; granddaughter, Amber Newell (Holly Johnson) of Broxton, GA; great granddaughter, Jaci Palmer of Milan, GA; great grandson, Matthew Palmer of Milan, GA; sisters-in-law, Kathryn Griffin of Albany, GA and Peggy Jernigan (husband Allen) of Douglas, GA; niece, Loy Griffin Addison; nephews, Allen Jernigan Jr, Michael Jernigan, Wesley Griffin and Paul Griffin; several great nieces and great nephews. Funeral services will be held on Thursday October 25, 2018 at 4:00pm at Sims Funeral Home Chapel with Rev. Gene Chaney and Rev. Howard Holt officiating. Rev. Walt Deloach officiating at the graveside. Interment will follow at Flem Harper Cemetery. Pallbearers will be Matthew Palmer, Wesley Griffin, Brian Fussell, Gerald Kight, Ben Smith and Bruce Seay. The family will receive friends Thursday afternoon from 2pm until time of service at 4:00pm. Sims Funeral is in charge of arrangements.